This chapter examines various processes a mining company must follow when it (i) discovers that a project it is running or investing into (or both) is likely to be ‘sanctioned’, or (ii) is looking to enter a new jurisdiction with an abundance of natural resources but an unstable domestic situation (tribal wars, United Nations personnel killed, half of the economy unlawfully expropriated, etc) or is in a difficult international situation (brutal ruling regime, human rights abuses, war with neighbours, conflict with the Trump administration, etc). ‘Sanctions’ seem to be the current flavour of political and economic life throughout the world. New sanctions are being introduced almost every month and it is often difficult to track down who is being sanctioned, how exactly and what for. Since 1966, the Security Council of the United Nations has established 30 sanctions regimes. Only in 2018, the US Office of Foreign Assets Control imposed or updated about 19 sanctions programmes, while the European Union implemented and amended about 95 regulations and decisions regarding imposed sanctions and restrictive measures. Any punitive measure is, potentially, a double-edged sword, particularly when applied to substantial businesses. This is well understood by sanctions ‘designers’ who generally seek to exclude or at least limit, to the extent they can, negative effects on their home country. This drives the choice of sectors to be targeted by sanctions. The nature of the mining sector compels sanctions designers to think twice before choosing a mining company as their next target. Nevertheless, a good understanding of the impact a plethora of sanctions might have on a mining business is essential for the success of its operations (and not necessarily in a country directly affected by various sanctions). This chapter seeks to give a general overview of principal sanctions regimes and their likely impact on mining businesses. A large part of our perception and understanding of life around us is being driven by the media, which often mixes similar but distinctive concepts for the sake of a hit headline. Sanctions are a hot topic, but to understand their practical impact on a mining (and any other) business, a clear distinction needs to be drawn between measures restricting trade and sanctions per se. The ultimate aim of the former is protection of the domestic market by imposing quantitative restrictions, tariffs, or both, on certain goods. to coerce another state to comply with a its obligations under an international agreement or rules of conduct. This chapter will focus on ‘sanctions proper’ and will only briefly deal with the general effects of trade restrictive measures on a mining business. Sanctions may have various forms. Article 41 of the Charter of the United Nations offers these examples: the interruption of economic relations and means of communication, and the severance of diplomatic relations. A variety of economic measures sit somewhere between a travel ban for an official of a target state and all-out war, and are often tied in with international or bilateral agreements, or both. This allows a nation that thinks it has been wronged to select from an almost unlimited list of punitive measures. Sometimes, revocation of the most favoured nation status is enough to convey the point. UN and unilateral sanctions against South Africa. The history of sanctions begins in 432 BC when Athens imposed a trade embargo on its neighbour Megara. Since then, there has been a long history of countries blockading their enemies to compel a change in behaviour. The twentieth century saw an unprecedented rise in the number and types of sanctions. The United States was the first in the sanctions race and continues to be the most prolific user. The modern sanctions race started in 1935 with the League of Nations adopting sanctions against Italy. Then the United States followed suit by introducing trade sanctions against Japan when it entered World War II in 1941. The UN founding fathers understood perfectly well that the short use of collective force sanctions is the most effective international law enforcement tool, and gave the UN Security Council powers to introduce them. Throughout the Cold War, use of UN sanctions was restricted by ideological divisions within the Security Council. However, in a few instances the Soviet Union (USSR) and the United States were able to find common ground. For instance, when UN sanctions proved to be quite effective in persuading South Africa to abolish apartheid, or when comprehensive economic sanctions were imposed against Iraq just after its invasion of Kuwait. In addition to the UN Security Council, the European Union (or other regional organisations) and individual states can adopt sanctions. In the majority of cases, UN sanctions are adopted first, with the European Union and individual states following suit shortly thereafter. Sometimes, the European Union (or other regional organisations, or both) will adopt sanctions without prior action on the part of the United Nations – for example, in connection with the situation in Syria or Yemen. Sanctions by individual states are not uncommon: the United States has about 19 states and 6,300 persons on various Office of Foreign Assets Control (OFAC) sanctions lists. Some Arab states have recently adopted sanctions against Qatar and Yemen; Russia has adopted retaliatory sanctions against several states and the European Union; and Ukraine introduced sanctions against Russia. Sanctions are most effective where UN sanctions are supported by regional and individual states’ sanctions. Iran and North Korea’s sanctions regimes are the two best current examples of effective application of containment and behaviour-changing measures. Which are ‘international’ and which are ‘domestic’? International sanctions are imposed by multilateral organisations, and domestic sanctions are imposed by national governments. National governments and international organisations like the United Nations and European Union have imposed economic sanctions to coerce, deter, punish or shame individuals, bodies corporate or states that endanger their interests or violate international rules of conduct. They have been used to advance a range of foreign policy goals, including counterterrorism, counternarcotics, non-proliferation, democracy and human rights promotion, conflict resolution and cybersecurity. Types – which to fear most? And why? non-comprehensive (also may be referred to as selective sanctions, targeted sanctions or sanctions in a narrow sense). A comprehensive sanction prohibits all transactions between its imposer and the sanctioned country. A non-comprehensive sanction seeks to restrict operations of a specific company or sector, or ban certain types of transactions; this sanction could have the most effect on the mining sector of the target country. Globalisation of the mining industry means that sanctions affecting a parent company (eg, Rusal) could also affect its mining operations elsewhere in the world (eg, Rusal’s mining operations in Guinea and Nigeria). The Rusal example is also relevant as the United States imposed sanctions on it because of allegations that its principal shareholder supported Russia’s current government, with which the United States has major disagreements. The following are the ‘most popular’ non-comprehensive sanctions. A trade embargo is usually the first to be imposed and is often limited to a ban on weapons sales to a target country. The United Nations have several such bans in place. A full trade embargo is rare, with UN Iraq sanctions coming very close to that. These prohibit all trade with the target country, save for under specially approved humanitarian relief programmes (such as UN ‘Oil-for-food’ for Iraq). Such embargo usually forces mining companies to close or suspend their operations in the target country. Trade embargoes may be partial, and rarely include services. Careful analysis of what is possible under a partial embargo is always useful, even if it appears at first sight that the ban makes mining impossible. The best example is ‘the blood diamond’ embargo, which allowed certain diamond mining operations to continue in countries affected by this embargo (eg, by selling the diamonds through third countries that are not covered by an embargo, just as the National Union for the Total Independence of Angola sold its diamonds through Burkina Faso, and Sierra Leone through Liberia). Export licences for goods, software and technology, which could be used in sectors targeted by other sanctions. These aim to prevent the development of targeted sectors through the supply of modern equipment and technology. Though depriving oil companies of access to modern equipment could prevent them from developing new oil fields, reliance on modern extraction equipment is far less crucial in the mining sector where modern technology affects profitability and safety, but not the ability to develop reserves and resources (with very rare exceptions). indirect, including, but not limited to, secondary sanctions, prohibiting individuals and bodies corporate from dealing with another body corporate, which in turn does business with a sanctioned organisation. Secondary sanctions are the most dangerous, as a miner could almost accidentally get caught by them. Enhancing ‘know your partner’ procedures is probably the most effective tool to avoid being sanctioned yourself. Sanctions relatively rarely target the mining sector directly. A CEO of a major mining company stated recently that without him and his company there would be no Silicon Valley, no Tesla and no solar power. Although it may technically be true, sanctions designers rarely take the ripple effect into consideration. However, even they seek to limit likely damage to only the immediate target. And it just might be that this statement by the CEO summarises the rationale for the cautious approach of sanctions designers to the mining industry. South African and Rhodesian mining sectors were part of the UN anti-apartheid sanctions package in the 1960s and the 1970s. In the 1990s, the diamond extraction industries in several African states were targeted by the ‘blood diamonds’ programme. The United States has recently imposed sanctions on an Israeli entrepreneur and his companies for his involvement in ‘opaque and corrupt mining deals in the Democratic Republic of Congo’. In-house counsel need to analyse almost all economic sanctions in great detail. Sometimes, the wording of sanctions is exceedingly vague (which is becoming a general rule with unilateral US sanctions). This allows for significant flexibility in their interpretation and application, depending on the level of pressure and effect the imposer wants to achieve. This is very dangerous for a mining company doing business in a target country. If the imposer chooses to apply a stricter interpretation of the sanction’s wording or active application to specific projects, the ripple effect could reach companies that were neither intended as targets nor operating in the target sector. This raises further risks for a mining company operating in or planning to enter a country that is subject to sanctions. Risks could be summarised as the indirect application of sanctions to mining companies. Some can be more obvious than others. Any sanction affecting the flow of money in and out of the target country would be taken into account by the miner’s risk assessment team, either when introduced (ideally, when the intention to impose is announced) or when the company is assessing its entry into a sanctioned country. But there are some sanctions that may not be immediately recognised as being capable of affecting the mining sector. A good example would be a situation where the OFAC would cause the liquidation of an otherwise perfectly solvent bank that provided money laundering services to a drug cartel. A mining company having accounts with a sanctioned bank would stand to lose almost all of its money kept in its accounts; its mining operations would likely be interrupted until either new accounts are opened and aid from its overseas parent could be arranged, or some emergency facility could be arranged with its new bankers. Another example of the indirect effect of sanctions could be the inability to obtain vessel or cargo insurance for mining company cargoes exported by sea. Restrictions imposed by sanctions on the supply of lubricants (or chemicals required for heap leaching) to a target country could result in severe limitations on the ability of mining companies to operate extractive processes. Though relevant sanctions are imposed on shipping to affect transportation of hydrocarbons, the wording used could cover ‘all raw materials’ of a certain geographical origin, which would effectively preclude principal insurers from issuing policies covering such cargoes. A mining company might ‘suddenly’ find itself dealing with a sanctioned body corporate (if the imposer decides to put on pressure) and will be forced to rethink its supply or sales chains, or both. The most recent examples are Rusal, Glencore and DGI Group of Companies. Sanctions applied against their principal officers and shareholders affected all of their respective suppliers and customers, and had a wide-ranging ripple effect through southern Africa and some parts of Latin America. One side effect of these particular sanctions was a sharp rise in non-ferrous metals prices on commodity exchanges, and the stocking of palladium and nickel by the automobile and electric battery manufacturing industries in anticipation of further sanctions against Norilsk Nickel – one of the major producers of these metals. Although the above example is specific to a particular region, it demonstrates the importance of understanding regional specifics, and determining areas likely to cause incoming mining company problems with international and domestic sanctions policing bodies. There is no universal tool to neutralise the effect of secondary sanctions that an in-house risk assessment and legal team could offer to the management of a mining company. The regular audit of the supply chain and customers could help alert the management to a risk of dealing with a particular supplier or customer. following its withdrawal from the Joint Comprehensive Plan of Action early in 2017, the United States reimposed sanctions on Iran, which included a total ban on trade in Iranian gold and precious metals, and the sale or supply to or from Iran of graphite, raw or semi-finished metals such as aluminium and steel, coal and software for integrated industrial processes (such as ore smelting, heap or bio leaching, etc). Although Cuba has been under severe US sanctions since 19 October 1960, these do not directly mention the Cuban mining industry. The only sanctions directly affecting the Russian mining sector have been imposed by the United States against Rusal, the second-largest aluminium producer in the world, and its principal shareholder, Oleg Deripaska. These affected Rusal’s operations outside of Russia as well, which was obviously not originally planned. At the time of writing, Rusal is discussing with the US Department of Justice the terms and conditions of the waiver of its sanctions (with personal Deripaska sanctions staying in place). Trade never stops. Even in times of war, enemies find ways to trade. All adversaries in World War II traded with each other irrespective of how hard they fought each other; North Vietnam kept buying US agricultural equipment (and American cigarettes for its army) throughout the 1960s and 1970s; China kept its commercial ties with Vietnam during the Chinese–Vietnamese war of the late 1970s–early 1980s; ISIS traded Syrian and Iraqi oil for necessary supplies until the Russians bombed them; and the USSR traded with the Mujahideen Northern Alliance for most of the Soviet–Afghan war in the 1980s. All modern (post-WWII) sanctions are not absolute. Even Cuban, North Korean and Iraqi sanctions allowed some trade between the imposer (the United States and the United Nations (and others in the case of North Korea)). The anti-apartheid sanctions were quite limited in scope and were aimed to show international support for the African National Congress rather than cause actual harm to the South African economy. Trade with the most heavily sanctioned countries is usually allowed on humanitarian grounds (UN ‘Oil-for-Food’ Iraq programme, UN North Korea trade programme, US Cuban ‘Medical Aid’ trade arrangements, etc). Sometimes, the sanctioned country exports something unique, desperately required by the imposer (eg, South African uranium and thorium). In such cases, the imposing country either completely excludes the unique products from the relevant sanctions regime, or introduces a licensing mechanism, where importation of each shipment of the relevant product from the sanctioned country requires the importer to obtain a special licence. In the modern world, there are very few goods that are produced exclusively by one manufacturer. There are plenty of hotly competing suppliers for most equipment, technology and material used in the mining industry. Generally, it is not very difficult to find an alternative supplier of a particular piece of equipment or a spare part, should the original manufacturer find itself under sanctions. It follows that a mining company will have an uphill struggle to convince a sanctions office (eg, the OFAC) to issue an importation licence for a particular item from a sanctioned manufacturer. The licensing process is designed by the sanctions administrators in such a way as to scare away all but the most desperate applicants. This is understandable, as licensing out sanctions is permitted by the regulators as an exceptional measure of last resort. This approach dictates both the initial eligibility criteria, how detailed the required documentation must be and the level of scrutiny by the licensing panel. It could take several months or more to get an OFAC licence to import a sanctioned item into the United States. As regards the European Union, each EU member state is responsible for handling the licensing process subject to its own legislative requirements (eg, in the United Kingdom, it could take about four weeks for the Office of Financial Sanctions Implementation (OFSI) to issue a licence). Unfortunately for miners (and fortunately for lawyers), large parts of the world’s natural resources are located in regions and countries affected by a variety of different sanctions. Developing a good working understanding of sanctions imposed against a particular country where a mining group has (or intends to have) exploration, development and extraction operations allows the mining group to achieve its business goals without subjecting itself to public and regulatory scrutiny and criticism, which could, under certain circumstances, lead to major financial and reputational losses, and personal liability of persons exercising control (usually directors, senior officers and controlling shareholders) of the mining group. Mining is the backbone of any economy. Being affected by sanctions could cause the deterioration of local relationships without which no mining operation could be successful. Stress and damage caused to local communities by scaling down mining operations because of (ultimately) a mistake made by a risk assessment officer who allowed a contract to be made with a sanctioned person will be difficult to mitigate. Such a ‘privileged’ position does not mean that mining companies are immune from sanctions. Mining companies could be affected by secondary sanctions and the indirect effect of sanctions imposed on other sectors. This makes tracking and managing sanctions (not limited to the obvious sanctions imposed against the country a mining company is operating in) an important part of its compliance mechanism. Tracking and managing sanctions is quickly becoming an important and separate part of corporate compliance mechanisms. Until recently, mining companies had to deal with sanctions-related issues relatively rarely. These issues usually came up either when a mining company was considering entry into a new country or during a pre-initial public offering (IPO) disclosure process. With sanctions rapidly becoming a feature of everyday life, even previously unaffected sectors such as mining are now obliged to respond to challenges the sanctions present. Having sanctions compliance as a separate business process does not create a safe harbour per se, but allows the management of a mining company to identify and manage situations and circumstances that could result in sanctions-related damage and liabilities. Most major miners have put in place separate sanctions compliance policies. The main elements of such policies are usually (i) a sanctions risk assessment; (ii) screening and monitoring of counterparties (suppliers, service providers and customers); (iii) analysis and reporting of potential sanctions-related circumstances; and (iv) ensuring compliance by counterparties. The sanctions compliance group must keep a record of sanctions put into effect against other states or territorial entities, bodies corporate and individuals by the United Nations, the European Union, the United States and regional international organisations (the Organisation of African Unity, the Arab League, etc) relevant to each country a mining company operates in. Subscription to all major sanctions-related databases and newsletters is a useful tool to keep up with major sanctions updates. The sanctions records shall be limited to those sanctions that are relevant for the company’s business activities. Sanctions records shall be used for screening and monitoring of the existing counterparties and prospective partners. The initial screening should be complemented by a periodic review and re-screening of the existing relationships, designed to flag counterparties that were affected by sanctions in the reporting period. The range of actions available to the company if it finds that one of its business partners was hit by sanctions is rather broad. However, unlike the financial services sector, no sanctions regulator provides an automatic ‘report and terminate’ safe harbour whether and when a mining company finds out that one of its counterparties has become affected by sanctions. Simple termination of the relationship may not work. It is advisable to find details of the circumstances that led to the counterparty being affected by sanctions, which sanctions it was affected by and how. Having assessed the risks for the company with this information in hand, the decision must be taken (and sometimes announced publicly) whether to terminate (or suspend) this relationship. All communications and information related to an investigation of a business relationship with the affected counterparty must be kept separate together with the information and communications in relation to the investigation of sanctions-related circumstances. The company must seek to ensure that its business partners are aware of the sanctions compliance policy. Because if risks arise from the indirect effect and application of secondary sanctions, it would be unreasonable to insist on a hard undertaking by each business partner to comply with the company’s sanctions compliance policy. At best, the company may seek to include relevant best endeavours provisions into its contracts and standard terms of business, together with an obligation to keep the company notified of all circumstances that could give rise to sanctions being applied to the counterparty. When do you need to worry? Most modern conflicts give rise to international, regional or individual sanctions. Unless a conflict in the country where a mining company operates has a direct impact on its operations, the fact that the country is affected by the conflict and may be affected by sanctions should not cause immediate termination or suspension of mining operations. However, business as usual should not continue as well. Miners should assess the risks of staying in the country, including risks of being subjected to, and affected by, sanctions. The other common situation where the management of a mining company needs to start worrying about the possibility of sanctions affecting it is when one of its principal customers or suppliers is hit by sanctions. If sanctions compliance concludes that termination of such relationship would relieve the company of being itself subjected to a sanctions regime, the management will only have to worry about finding a suitable substitution. However, if the risks of being affected by the sanctions are not eliminated by the termination of the relationship, the management needs to review all business processes related to this relationship to determine areas that require remedial action. Although sanctions have become a common diplomatic tool for nations, especially in the decades after the end of the Cold War, political scientists say they are not particularly effective. Though international (mainly UN-sponsored) sanctions are typically effective, there is no generally accepted view on the effectiveness of sanctions introduced by individual countries or regional organisations (the European Union being considered a single sanctions imposing entity). Some experts argue that individual sanctions are a double-edged sword and affect both the imposer and the target, others argue (mostly on the examples below) that these have a slow, strangulative effect on the target, ultimately resulting in catastrophic consequences for the target sector or country. Sanctions work best through a combination of international and domestic sanctions. One of the most famous examples is the near-total economic isolation imposed on South Africa in the 1980s in protest against its policy of apartheid. Following the imposition of a UN trade ban, the United States and many other nations ceased trading, and companies divested their holdings, which in conjunction with strong domestic resistance led to the end of South Africa’s white minority government in 1994. An additional argument put forward by sanctions sceptics is that they are most often felt by innocent civilians and not the intended government officials. UN sanctions imposed against Iraq in the 1990s, for example, caused prices for basic commodities to spike and extreme food shortages, and triggered outbreaks of disease and famine. Despite the crushing impact these sanctions had on the general Iraqi population, they did not lead to the ouster of their target, Iraqi leader Saddam Hussein. In an increasingly globalised world, unilateral sanctions face huge obstacles – even when imposed by the largest economy. A landmark study published in the 1990s by the Peterson Institute for International Economics found that unilateral US sanctions achieved their foreign policy goals only 13 per cent of the time. And, the longer sanctions are in place, the less effective they become, as the targeted nations or individuals learn how to work around them. Rare instances where unilateral sanctions work involve countries that have extensive trade relations with the imposing country. If the target is not dependent on trade with the imposing country, the effect of the economic pressure will be low. In addition, when a country faces sanctions, it can often seek commercial ties elsewhere. This was the case with Cuba. When the United States imposed sanctions on its former trading partner after Fidel Castro came to power, Cuba turned to the communist bloc for help. The above gives both sceptics and sanctions designers rich food for thought. Sceptics very often underestimate the containment effect the mere threat of sanctions may have on the target state or sector. This threat stage together with the imposition stage form the basis for valuing the effectiveness of sanctions. The interplay of these stages generates predictions of whether sanctions will work at all. Impact evaluation (and therefore an assessment of the sanctions’ effects and their effectiveness) requires counterfactual reasoning. To evaluate the impact of sanctions on a state or specific person, the first thing to do is to predict what would have happened in a country, or with a specific person, if there had been no sanctions. Then, a state or person subjected to the threat of sanctions should find out what happened to the country or person that has already been subject to such sanctions. This method of valuation of sanctions’ impact could produce results substantially different to the traditional set of arguments used by the sceptics’ school of thought. A very good example is, again, Cuba. Although US sanctions have not achieved their original prime goal of toppling Fidel Castro’s regime, they confined the Cuban economy to survival mode for several decades, and helped to cement widespread opposition to the regime. Sceptics will argue that these achievements are balanced out by mass poverty and starvation on the island, and the emergence of ethnic Cuban criminal gangs in the south-east of the United States. Factoring a sanctions compliance mechanism into overall corporate compliance is a cost. Maintenance of a sanctions tracking regime is also a cost. In-house counsel could find it difficult to justify incurring these additional costs to the board, particularly if his or her mining company operates in relatively sanctions-free regions. However, the cost of ignoring the need to track sanctions and anticipate the risks could be much higher than even the most generous overheads required to set up sanctions tracking and compliance regimes. Financial markets’ reaction to Rusal and Glencore US-imposed sanctions is a very vivid example of why no company, particularly a publicly traded one, can limit management of political risks to a few paragraphs in its IPO prospectus. The imposition of US sanctions against Rusal has been the first time such actions have drawn in a major publicly listed international mining company with international institutional shareholders. Rusal lost over 50 per cent of its value overnight, its coverage was suspended by most corporate finance houses, and most of its major customers have closed their trading accounts with the group. A situation like that is a nightmare for any miner’s chairman and CEO. Mining is one of the most capital-intensive sectors of the economy, with substantial upsides for anyone investing into it. Mining companies form the backbone of several stock indices, including FT100, SPTSX and ASX200, which comprise mostly mining companies . Having this in mind, a sensible board of a mining company should not hesitate to approve a reasonable sanctions tracking and compliance budget. The cost of accidentally falling into the scope of a sanctions regime makes the cost of prevention insignificant in comparison with potential consequences of sanctions being imposed on a mining (particularly publicly traded) company. It would usually fall to the legal and financial departments of a mining company to run the sanctions tracking and compliance mechanism. It is also advisable (although not yet legally required) to have a short summary of the results of the semi-annual business partners audits included in the interim results announcement. Such disclosure could state that the company has a sanctions tracking and compliance policy in place and that the recent audit confirmed that the company is not trading with any sanctioned persons. Each mining company should have a sanctions tracking policy and compliance mechanism in place. Sanctions, watch lists and politically exposed persons (PEPs) lists always need to be a focus of the in-house compliance team when it comes to protecting against reputational, regulatory, financial and strategic risks. reinforcing policies and procedures with independent audits and testing. Outside verification helps ensure that a sanction tracking programme operates effectively and complies with relevant laws. Depending on a mining company risk profile, the independent audit should take place every 12 to 18 months, and audit results should be reported directly to the board or a designated board committee. Creating a sanctions committee of the board is a useful tool to control sanctions-related issues and situations. If a mining company has operations in a potentially sanctions-prone region, the sanctions committee of the parent company should have emergency powers to order withdrawal from that region if the risk of getting on a sanctions list outweighs the benefits of staying. The obvious economic benefits of staying (extra cash flow generation, low extraction cost, huge reserves, etc) should not obscure the bigger picture. If a potentially dangerous situation develops, the first thing the sanctions committee should do is to get lawyers to justify their fees and provide clear guidance for the board as to what steps to take and which announcements to make to mitigate the risk of having sanctions imposed on the company. One other lesson from the Rusal affair is that public mining companies need to carefully track who makes substantial acquisitions of their shares, and alert the relevant authorities if a PEP or a sanctioned person made a substantial acquisition. Unfortunately, the Takeover Panel8 has abolished the substantial acquisition of shares together with their reporting requirements, which makes tracking such acquisitions more difficult. Share acquisition by a PEP or a sanctioned person is probably the only scenario where preventive reporting to the authorities could completely mitigate the risk of sanctions being imposed on that miner. There are no safe harbours in any sanctions regimes. A safe harbour is a set of measures that, once put in place, constitute a defence against liability arising from relevant unlawful behaviour. Operation of a sanctions tracking mechanism will help to avoid secondary sanctions, and is a useful tool to minimise the danger of an indirect effect of sanctions on a mining company. However, if, despite all the preventive measures, a miner finds itself (or a member of its group) under sanctions, the management and its advisers are faced with several tough choices they will need to make very quickly. The first set of questions relates to sanctions per se: who has adopted them, why and how are we affected? Answers to these questions, in addition to helping to understand the scope of immediate, short- and long-term damage to the company (group), could show whether it is technically possible to fight sanctions. It is wrong to assume that sanctions could not be fought. Even the toughest UN and OFAC personal sanctions could be successfully challenged in court. The European case Kadi I9 and subsequent case Kadi II,10 and associated legal battles in Switzerland and the United Kingdom, show that it is possible to force sanction administrators to delist a person from the relevant sanctions lists. 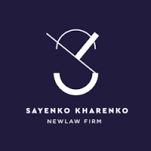 It is important to determine early on which parts of the mining company or group have been affected by sanctions, and whether ring-fencing these is practical or would save other parts of the company or group from the sanctions’ effects. It is best to discuss such ring-fencing with the imposing authority to determine whether such exercise would allow the rest of the group to continue business as usual. Forgotten off-balance sheet holding structures, and various box structures, could be the starting point for the ring-fencing exercise if the imposing authority agrees to limit sanctions to the ring-fenced part of the business. The management of the sanctioned company also needs to think about challenging sanctions in court. Such challenge is never easy, particularly because sanctions design processes are conducted in secret, often using classified information that stays classified even after sanctions have been announced. Although it may seem that the company would be fighting sanctions blind, fine-tuned corporate compliance and sanctions tracking mechanisms could reveal information sufficient for the challenge to the sanctions to be successful. That would allow the discovery of the reason for the sanctions and help lawyers to mount a successful defence. Even generally reluctant US courts have recently issued limited but notable decisions that may allow successful challenges. However, such court cases could last years and the effect of an all-out asset freeze would be felt instantaneously. This dictates the need for two parallel processes: petitioning the imposing authority and filing claims in courts. The best example to date is Al Haramain Islamic Fund, Inc v US Department of Treasury11 where a petition to the OFAC to pass classified information to the court was submitted together with the claim challenging the designation of the claimant as a specially designated global terrorist. This dual-track approach may produce the required result much quicker than litigation proper, and may provide some interim relief. The reason being that the imposing authority may have based its decisions on erroneous or incomplete information, or simply could have misinterpreted perfectly innocent data; a Syrian bank managed to have its designation set aside following a dialogue with the OFAC. Establishing a dialogue with the imposing authority and mounting a legal challenge is vitally important. And it may produce the result. However, much is being said in the media about lobbying the authorities as a way to lift sanctions. Most of these reports relate to preventive lobbying, rather than post-designation efforts. Most of the reported ‘successful’ lobbying only managed to soften the blow, but not totally exclude the relevant company from sanctions.12 These media stories contain numerous references to the quantum of money spent on lobbyists and their names, but very reserved (if any) commentaries from the ‘saved’ principals. The reason for that is obvious – lobbying has limited value in a post-designation fight, and is best used as a sanctions risks management tool. When a cost–benefit analysis is applied to sanctions-related lobbying, its effectiveness becomes even less obvious.